The 2018 Aberdeen Christmas Village will take place at Broad Street and into the Upperkirkgate area from 22 November until Hogmanay. It will once again be a magical area of street entertainment, market stalls and hot and cold food and drinks designed for all ages. 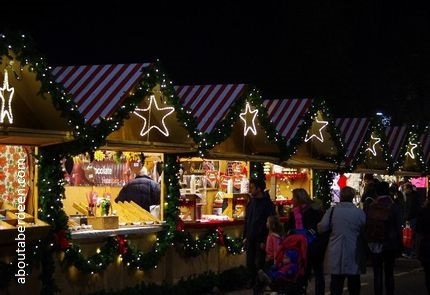 The 2018 Aberdeen Christmas Village promises to be double the size of last year�s event with entertainment from Codonas that will suit all ages from the gentle Santa Express train rides for the children through to thrilling, daredevil head spinning rides for adults, such as the slingshot bungee-jump. Toilets, including disabled toilets can be found in the area.